And just like that, it's September. I had my first Pumpkin Spice Latte from Starbucks today. A wonderful friend who volunteers in my classroom almost daily brought me one- my first of the season! I'm really not thrilled about saying goodbye to August and that I notice it's getting dark earlier each day, but I do look forward to the cooler fall weather! 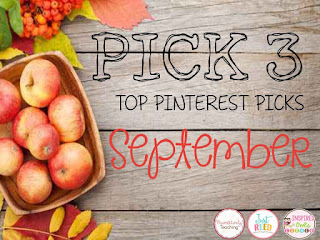 If you are in need of some September inspiration, you have come to the right place! I always find the best pins from the bloggers who participate in our link up! 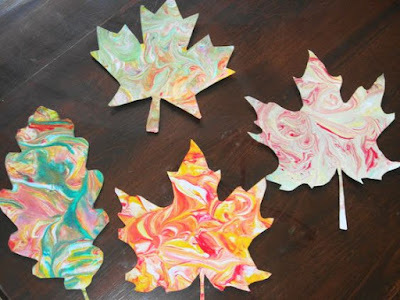 I fell in love with these marbled painted leaves! I'm sure my students would make a huge mess with the paint and shaving cream, but the finished products would be worth it. I would love to decorate a classroom tree with these beauties! They are gorgeous! 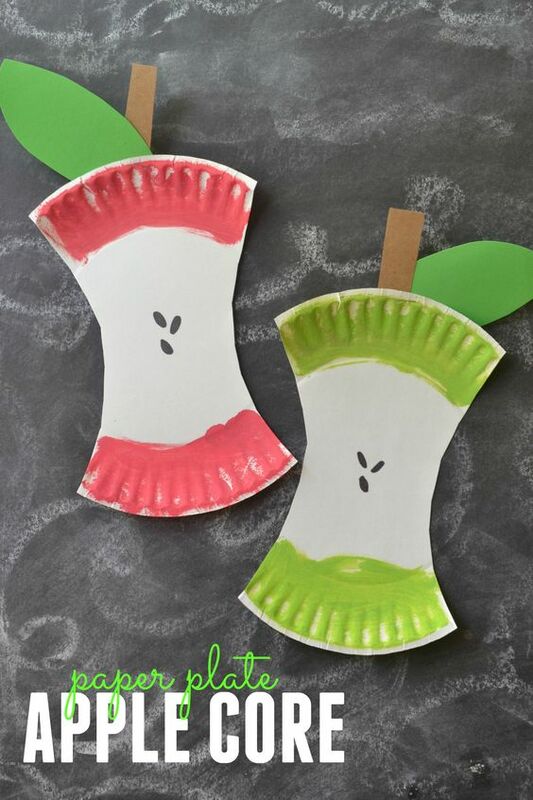 These apple core art projects are so adorable! 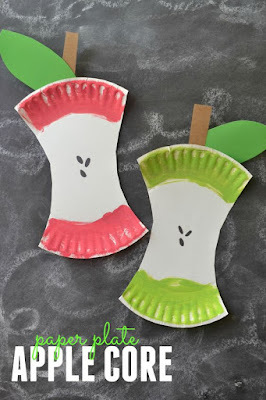 They would be a great art project for the kiddos during an apple unit. I might make a few samples and see how the apples look when they are made from a whole plate. I will probably let my students decide whether they want to create whole apples or apple cores. The kids always go crazy over baking soda and vinegar experiments- and this one involves an apple! I am definitely doing this one during Apple Week! Jennifer from First Grade Blue Skies has lots of other great apple week ideas on her blog. And if you are in need of a great homemade Crock Pot applesauce recipe, be sure to check this one out. I have each student bring an apple to share, then we peel them and chop them up to make our applesauce for Apple Day. I love the apple cores and the leaves!!! Great ideas for Fall and Johnny Appleseed!! Thanks for sharing!!! Have a great school year!!! I love the marble leaves! My kiddso would definitely enjoy making those! 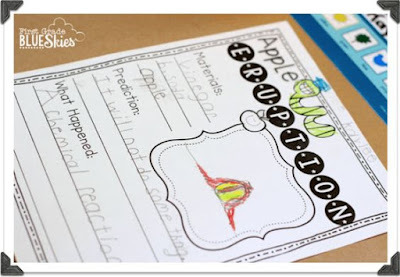 Love the apple explosion experiment! The marbled leaves are so pretty! They would make a great hallway display! Love your apple ideas! So much fun! We did the erupting apple experiment today. It was a huge hit!